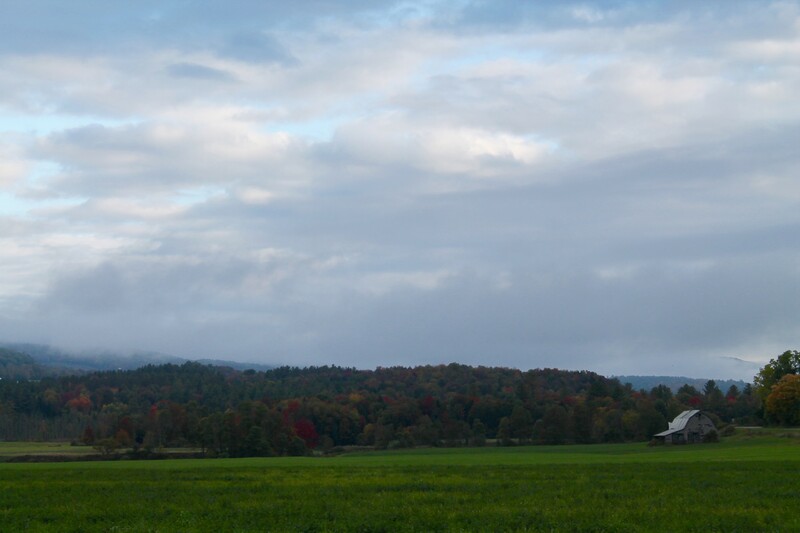 We’ve always been impressed by Vermont Creamery. They’ve built an incredible name and brand for themselves, all while introducing some pretty distinct products to the market. 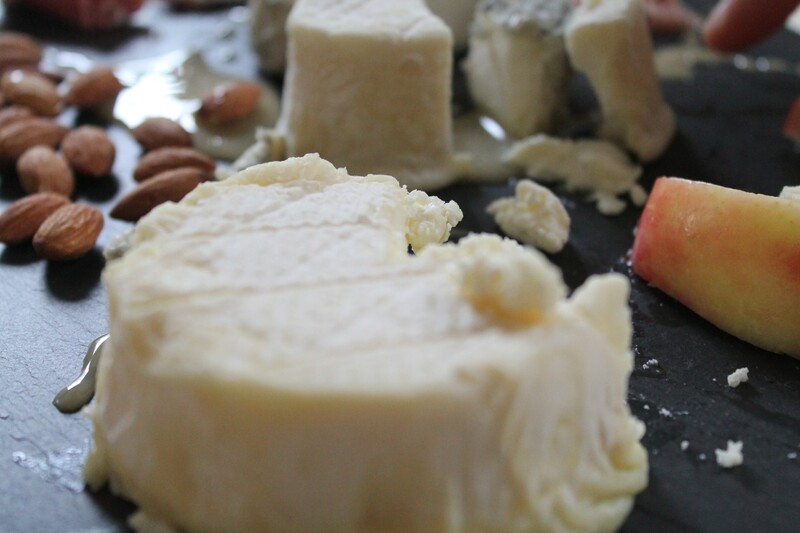 Goat cheese, while this may come as a surprise to many, has not always been so easy to obtain. In fact, American goat dairy farmers were few and far between leading into the 1980s. Prior to this, most of our goat cheese was imported from Europe. It’s fairly hard to imagine nowadays, considering the varieties we find in our local grocery stores and farmers’ markets…not to mention, quite a shame! 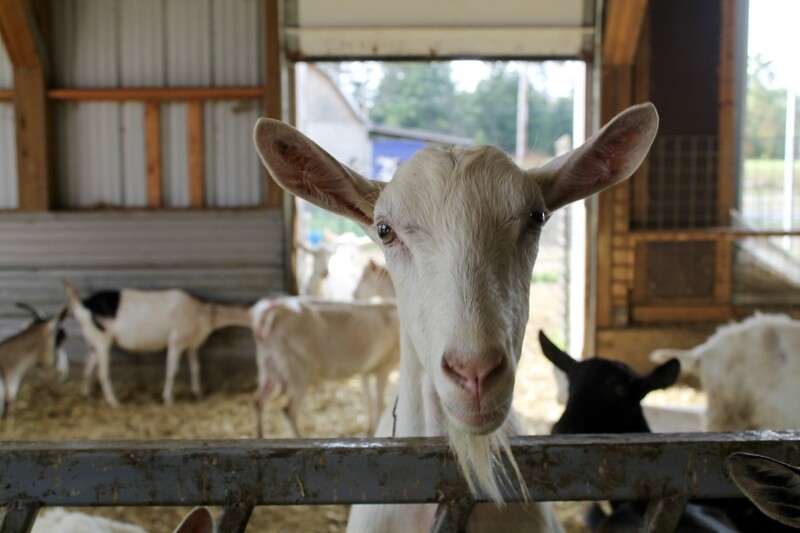 We’ve said it before – goats are some of the friendliest animals we’ve ever encountered, and their dairy is simply delicious. 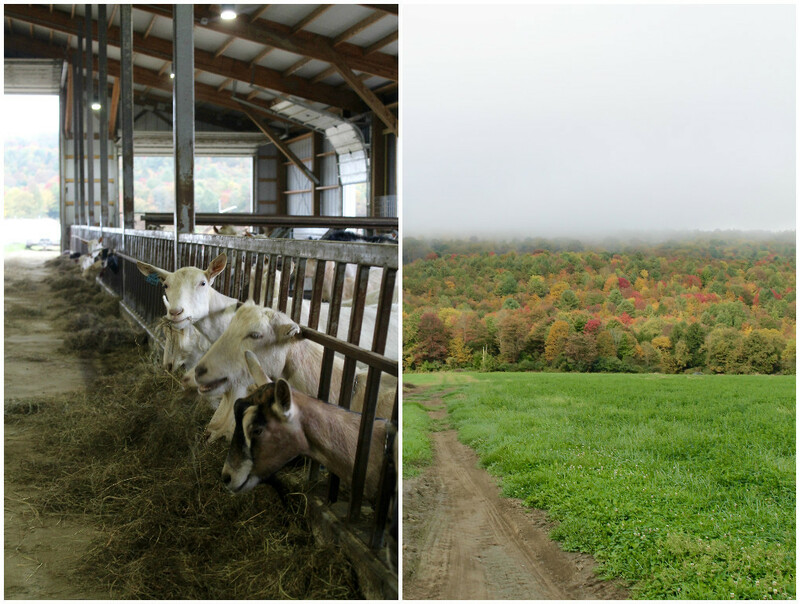 One of the most impressive goat farming operations can be found on Vermont Creamery’s Ayers Brook Farm in Randolph VT. Walking around the farm one crisp October morning, Ayers Brook could not look more picturesque. Foliage behind the barn is on the cusp of peak and the morning fog is slowly burning off the hills. Goats are scrambling about, sticking their heads through the gate and noshing on some morning feed. Their eyes perk up, curious at the sight of new faces entering the barn. In all honesty, goats are complete hams. They readily pose and stare in our direction as we whip out our camera – the perfect portrait specimens. They scurry over and nuzzle as we draw closer. They’re adorable. We can see why the creamery suggested we visit their farm prior to exploring their manufacturing facility. 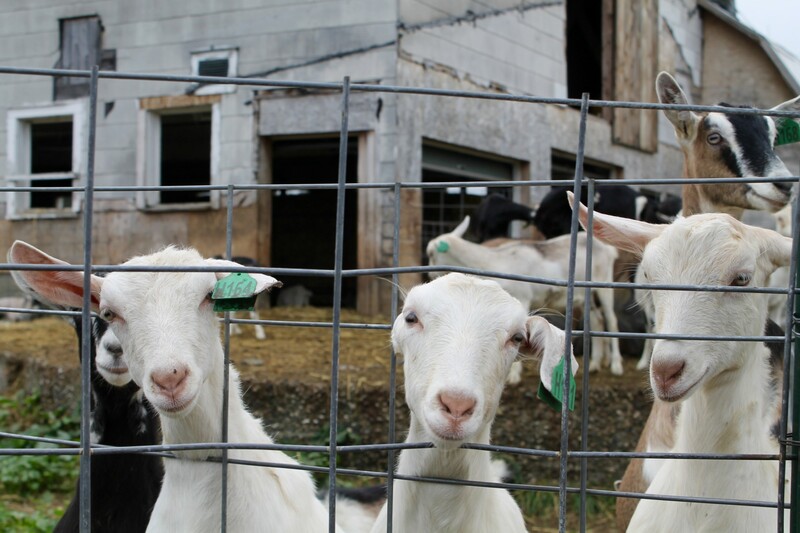 The personality of these goats very much plays into Vermont Creamery’s brand as a whole. 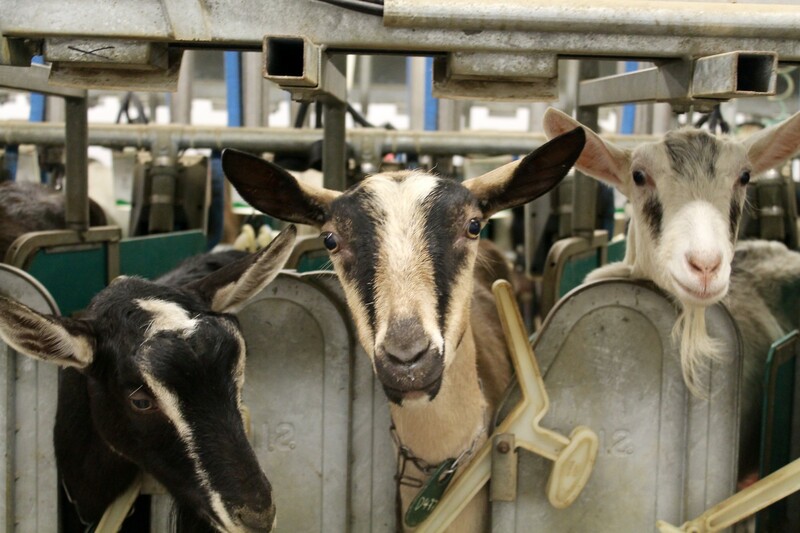 Happy animals make the best dairy, and these goats are certainly some of the happiest we’ve seen. Owners, Allison Hooper and Bob Reese, helped construct this particular farm four years ago. To give some perspective, Allison, an original Jersey girl, studied in France as a college student. She worked on a family goat farm, earning room and board and learning the essentials of cheesemaking. She eventually moved to Brookfield VT, where she began working at a dairy lab and milked goats. Bob, on the other hand, grew up learning on his grandparents’ dairy farm. In 1984, the two connected when Bob reached out to Allison in search of locally made goat cheese for a special event. 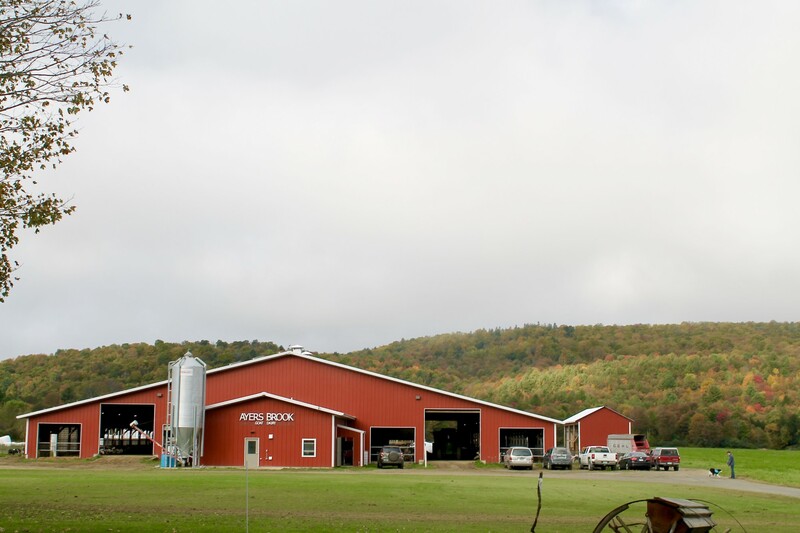 Allison and Bob have since grown Vermont Creamery into a thriving business, producing cheese with local ingredients and exemplifying sustainable farming. Allison and Bob strive to perform the best farming practices available today. Ayers Brook is designed to be power-sufficient. Solar panels lining the barn’s roof provide energy for the the entire dairy process. This includes keeping the dairy cold, as well as running heat lamps for the newly born kids. In addition, Miles, Allison and Bob’s son, makes non-GMO feed a priority. Alfalfa and hay are collected from the farm’s own field and combined with various amounts of grain, molasses, oils, and apple cider vinegar. He has created separate recipes for the goats’ different needs and stages. For instance, yearlings receive a special mixture to aid in their first milk production. 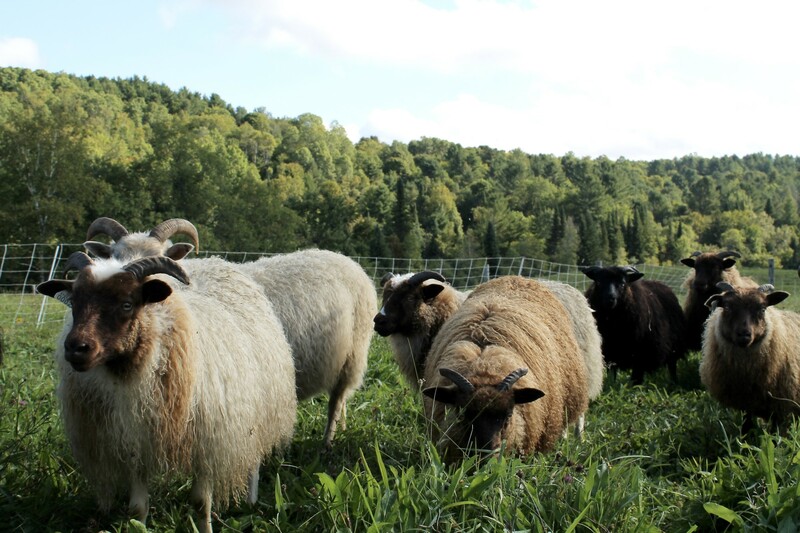 Seeing the success in their own process, Miles and the Vermont Creamery team are currently helping fellow farmers switch to non-GMO feed as well. Our guide and marketing guru, FM Muñoz, mentions the various family farms Vermont Creamery supports. Goats, unsurprisingly, cannot produce as much milk as cows. As such, the creamery also sources from other goat farms in the area. This not only supplements Ayers Brook’s dairy production, but also helps support the rural community. 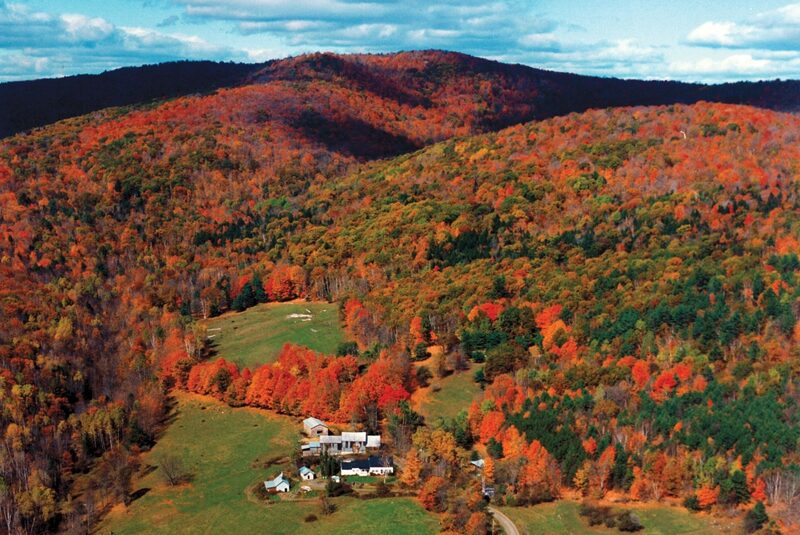 Vermont Creamery only sources from family farms with upstanding management practices that are sustainable and environmentally sound. This includes the creamery’s partnership with local Jersey cow farm, St. Albans Cooperative. We can be thankful for such collaboration, as Vermont Creamery has just released St. Albans, a non-GMO Certified cheese made from 100% cows’ milk. Believe us when we say it is the epitome of personal fondue! We can see why Vermont Creamery has become such a success. 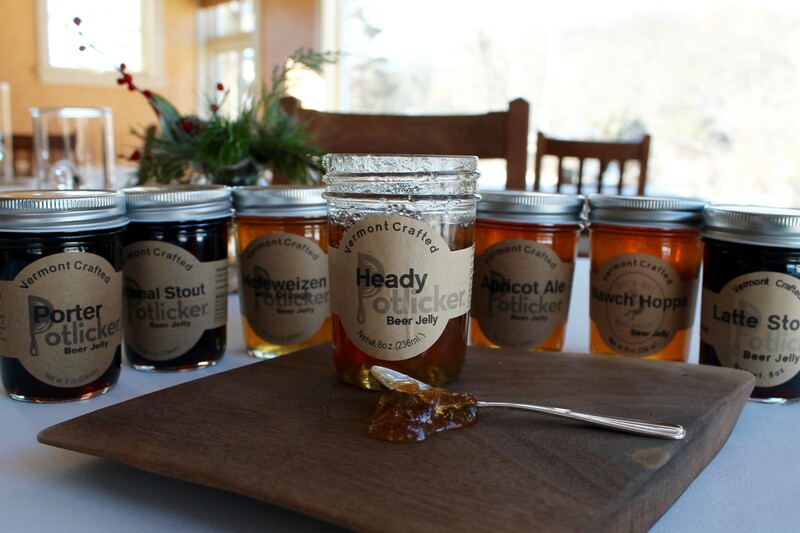 While not as small as many artisanal makers in Vermont, FM describes the company as “small enough to be able to work on cool projects with food bloggers, but also big enough to fully support our team and distribute cheese all over the country.” To us, this is pretty awesome. It’s special to find a company maintaining sustainable standards and gaining well-deserved attention via the social media food scene (see their collaborations with Eva Kosmas Flores, Betty Liu, and so many more on Vermont Creamery’s Instagram). 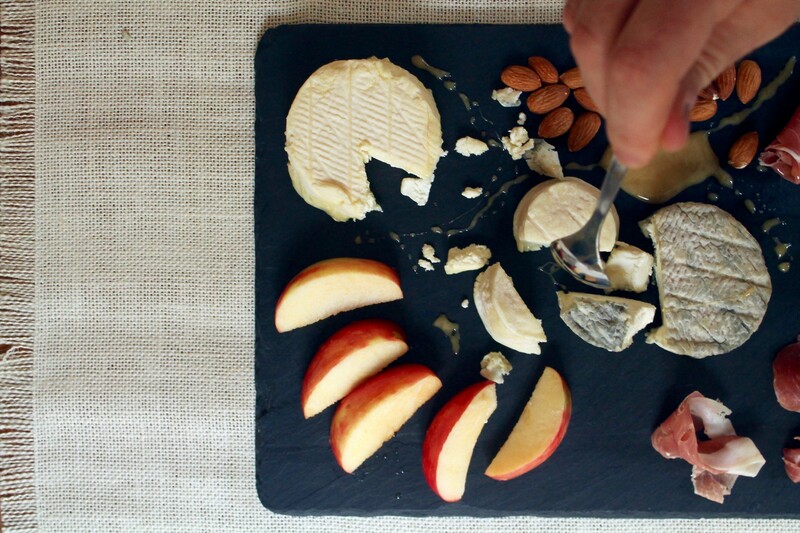 With cheese boards and recipes like these, you can’t help but be tempted by all the goat cheese deliciousness! Visiting this farm proved to be an unforgettable experience. 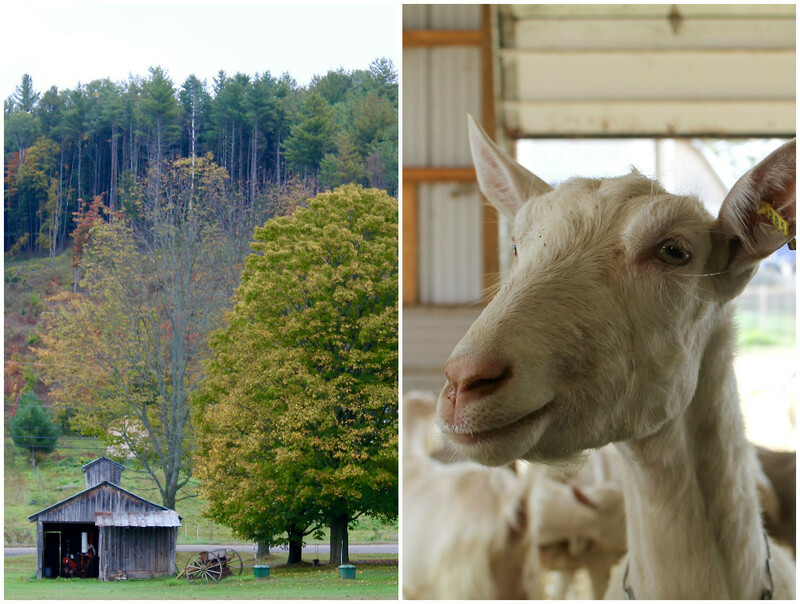 From hearing a newborn kid’s first cries, to seeing the goats’ non-GMO feed up close and personal, we truly enjoyed our time at Ayers Brook. Our visit has us looking at cheese boards with newfound respect. We suggest picking up some cheese of your own the next time you spy a Vermont Creamery label in your local cheese case. Try a couple of our favorite aged cheeses (we couldn’t help ourselves from assembling the Bijou, Cremont, and Bonne Bouche on a board right away! ), as well as the vanilla crème fraîche and cultured butter blended with sea salt and maple (is your mouth watering yet?). Embrace the cheese butter love and enjoy!